Mount Nebo is where Moses first saw the holy land. On top there is a memorial to Moses as well as a 6th century church with a floor mosaic from 530 AD. 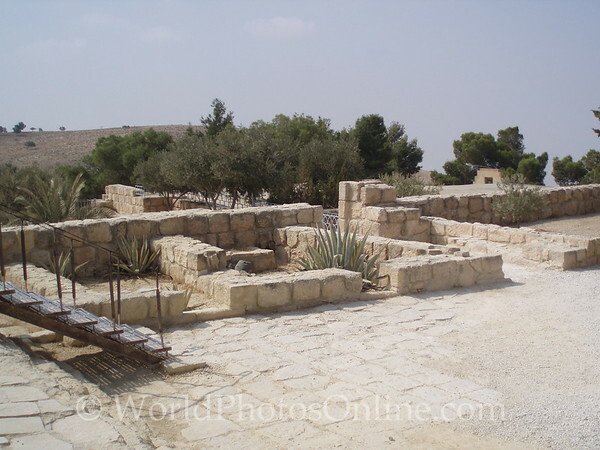 Nearby is Madaba, the location of St Georges Church. Inside is a 6th century mosaic map of the holy land with 157 sites of biblical significant notated in Greek. This mosaic was discovered under the floor in the late 19th century. Unfortunately only 1/3 of the original 25m by 6m mosaic survives, but it has been incredibly significant in finding other biblical archeological sites throughout the Middle East.